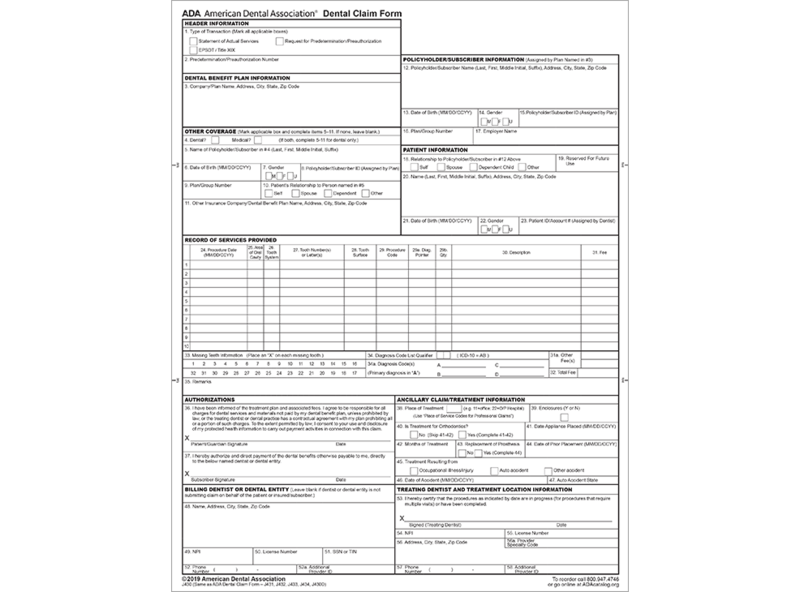 The ADA Dental Claim Form is revised to incorporate a significant change in the HIPAA standard, which now enables a dentist to include a diagnosis code (ICD-9-CM) when needed on a claim. 8-1/2 x 11 bond stock. 250 individual forms per pack.